On Saturday, September 17 at Wild Rivers, come enjoy thought-provoking NeoRio art installations right on the rim of the Rio Grande gorge. Now in its 8th year, this annual event is truly a unique experience for the Taos area. Three projects by three different artists will be featured this year: “ADRIFT – MIGRATION – HOME” by Lee Lee (Taos/Denver), “Reconciliation: Sculptures for Humans and Pollinators” by Viviane Le Courtois (Denver) and “Precise Breathing or Why I Call My Baby Honey” by Jenny Lynn McNutt (Brooklyn, NY). Each artist is approaching this year’s theme of pollination in a unique way. Their works will transform selected locations at Montoso Campground into site-specific installations and outdoor exhibition spaces to be discovered and explored by visitors. Le Courtois is creating sculptures to attract both pollinators and humans: “Often, people are tempted to destroy pollinators, and their habitats, because they sting, eat our plants, nest on our properties, or simply buzz too much. I am creating sculptures/interventions with natural elements along a path at the edge of the Montoso Campground for people and pollinators to meet, because we need to coexist,” says Le Courtois. All are invited to Montoso Campground at Wild Rivers to explore these exciting works on September 17th beginning at 4 pm. Another nod to pollinators will happen in the evening with the NeoRio Feast – much of our food is the result of pollinators doing their job, after all! Guests will be treated to an artistic, inspired, community feast, featuring local cooks and local ingredients. The Feast is coordinated by Gaea McGahee, founder of the Northern NM Growers & Makers Exchange outdoor market place. Many growers, bakers, cooks and contributors to the feast will be familiar faces to those who have visited the Growers & Makers Exchange. After dinner, guests are invited to take-in our three featured artists’ solar-powered, illustrated talks, to get a behind the scenes look at the onsite artworks and a visual tour of their past work. The evening will conclude with a campfire, poetry inspired by the pollination theme and music by High Desert Acoustic Duo, Justin Dean and Mark Dudrow and other guest musicians. Need more info? Contact Claire – email@clairecote.com or 575-224-9066. Chemical drift from improper use of pesticides and herbicides is a severe threat to pollinators. Dominated by oil refineries and an aerial view of the DOW chemical plant in Texas, a series of post-industrial western landscape paintings will be installed in one of the man made structures. The remainder of the work will explore the movement of pollinators and offer participants tools to help support pollinators by integrating native plants and habitats into our own spheres. The vast migration of hummingbirds will be represented by a large scale painting of a hummingbird nesting in a lush Central American rainforest. The marked difference of landscape when installed in the high desert plateau will emphasize the distance between ecologies across which they move. Engaging another incredible migration, regionally specific milkweed seeds cast into paper formed as milkweed pods will be installed and distributed to support the Monarchs. The movement of other pollinators like bees, flies, beetles & moths is highly localized. Broadening perceptions of HOME to include outdoor spaces beyond our walls will help cultivate an understanding of the interrelationships between humans and pollinators. As for humans, good homes for pollinators include plenty of food, safe access to water and shelter, and enough space to raise the next generation. Developing the awareness of what is available beyond our fencelines, we may fill in the gaps to support localized movement through our own spheres. Information will be provided for developing pollinator habitat specific to the Southern Rocky Mountain Steppe. 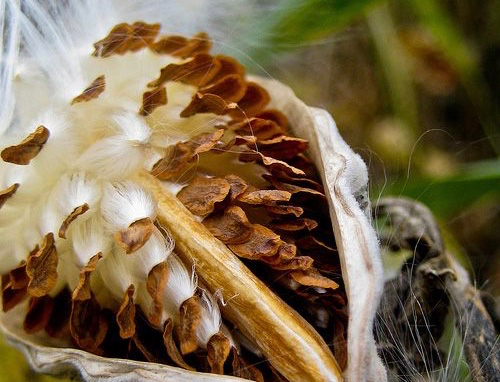 Distribution of native plant seeds for participants to take home will provide food for different pollinators throughout the growing season, and initiate an extended collaboration between participants in NeoRio. Lee Lee attained her BFA from the Rhode Island School of Design, and has spent time in over 40 countries. These experiences have led her to develop a wide range of painting styles in response to the diverse conditions of our world. Her work is informed by several movements through art history including the feminine expressionist drawings of Kathe Kolwitz to the actions of the 1970s which embraced processes using a shotgun or fire. Rich textures developed through destructive means speak to sociopolitical situations imposed on people as well as environmental degradation. Sensitive mark making atop these textures explores the emotional textures within a community, emphasizing resilience in the face of adversity. Recently, strong environmental themes have entered into her repertoire as she recognizes that social and political stress is driven by the scarcity of our resources. As the number of pollinators decline, humans need to understand that our future depends on the small creatures that pollinate our plants. Butterflies, bees, wasps, flies, moth, bats, beetles, and even mosquitoes can pollinate. Taking the time to slow down and look at the tiny creatures around us is essential for our survival. Creating areas where bees can live and feed sheltered from the wind, where hummingbirds and bats can feed, where butterflies can get their nutrients, and where beetles can play is essential. The drought and lack of plant reproduction in the Rio Grande Del Norte National Monument area, has lead to less cultivation, lower plant diversity and overall less plants to pollinate or feed on. It is time to reintroduce plants that could bring the pollinators back and keep them there, as well as places for them to drink and shelter from the high winds of the Taos Plateau. Native Americans used to grow squash, corn and beans. Food now mostly comes from elsewhere. Spending 2 full days observing the area, listening, looking, smelling and feeling the wind and storms was essential for the development of the project. By drawing, testing materials and photographing details, I was surprised by the small amount of pollinators present around. My idea is to reintroduce flowers to plants that once had flowers, or to the dead trees that fill the landscape. I am also interested in bringing awareness about the lack of diversity. Coming back to the city of Denver, my yard feels like a jungle full of pollinators, birds and crickets. I will create sculptures/interventions with natural elements along a path at the edge of the Montoso Campground for people and pollinators to meet- because we need to coexist. Some of the pieces will be about slowing down and observing, while others will be more interactive. The pieces will attract pollinators and people by scents, textures and colors, as well as by taste and visual interest. The piece will be created with locally found and biodegradable materials only (plant materials braided, tied or stacked including pine cones, bark and dead branches, wood fire ashes, salty mud, flowers or leaves, rocks, locally found wild edibles….Small floral elements created in advance with yarn and dyed with local plant materials will be temporarily attached to dead trees and plants. Primitive sitting (logs and rocks) will be provided around the piece for people to sit and observe. Viviane Le Courtois creates process based, conceptual and participatory art since 1989. Her installations, performances, sculptures, videos and prints often intrigue visitors by connecting art to everyday life. Her works often comment on social and environmental issues. She has traveled in over 40 countries using 177 pairs of shoes as a sculptural performance. In 2004, she invented a non-toxic etching process using Kombucha. Viviane Le Courtois was born in France in 1969. She moved to the US in 1994, and currently lives in Denver, Colorado. She received a Diplôme National Supérieur d’Expression Plastique from the Ecole Pilote Internationale d’art et de Recherches in Nice, France in 1992 and a MA in Art History from the University of Denver in 2000. She was awarded a Korea Foundation fellowship in 1993 and the Westword Mastermind Award in Visual Arts in 2009. She has exhibited in the US and Europe and has shown her work at the Passerelle Art Center in France, Mobius in Boston, The Williamsburg Art Center in New York and at many venues in Colorado, including Rocky Mountain School of Art + Design, Regis University, RedLine, the Museum of Contemporary Art Denver. In 2012, she presented her first solo museum exhibition: Edible?, 22 years of working with food, at the Boulder Museum of Contemporary Art. In 2013, she created an interactive installation for the Biennial of the Americas. She was an artist in residence at RedLine from 2008 to 2011 and is currently an artist in residence at the Denver Sustainability Park. Viviane Le Courtois is also a curator, a teacher and a world traveler. She is the studio and gallery Program Manager at DAVA (Downtown Aurora Visual Arts), teaches at the Metropolitan State College of Denver and at the University of Colorado in Denver and is co-founder and conceptual director of Processus, Institute for Art and Life, a co-working and co-thinking space for artists. The project is something of a selective cabinet of curiosities, is a multi-media project about the honeybee and our intricate and historical relationship with them. This cross-disciplinary project encompasses perspectives among art, science, and the environment. As well as being aesthetic, focus is upon the honeybee 1) Architecture 2) Mythologies 3) Social Order 4) Symbolic language of their dances 5) as Alchemists – nectar into honey, creating wax, and 6) not least, as Pollinators. At NeoRio elements of this project will be installed in a pop-up, outdoor exhibition on the rim of the gorge. The works on display at NeoRio comprise an abridged version of a larger installation. They exemplify various aspects of the project referencing the floral and pollination habits of the honeybee, their astonishing method of hive architecture, anatomy and the production of wax and the transformation of nectar into honey. The works draw upon actual facts about the honeybee and elaborate upon them through imagination. This aestheticizing, this mythologizing of the honeybee puts us in a direct line with our ancestors – prehistoric, Egyptian, Chinese, African, European and American. My work with bees began in the summer of 1999 outside Avignon, France where I worked with a beekeeping family who were already dealing with the impact of sick and vanishing bees. “Sewing Songs”, (1999 – 2004) which originally arose from this work and uses the honeybee as a metaphor, is a kind of fairytale multimedia performance and is a precursor to “Precise Breathing”. Jenny Lynn McNutt has shown sculpture, painting, and multimedia performances nationally & in Amsterdam, Paris, Rome, Milan, Dublin, Eastern Europe, North & West Africa. Upcoming (2016) at Witteveen Visual Art Center (Amsterdam) – a solo show & another in 2017 – Academy Center of Fine Arts, Lynchburg. Sculptures and paintings were included in “Menagerie of Metaphors”, Maier Museum, Randolph College, 2014. Galerie Witteveen (2013) featured a solo show & simultaneously a drawing show. “Zoopsia” – a solo show at Art 101, NYC, 2012. “Precise Breathing”, about the honeybee, exhibited at the Dean’s Gallery, Pratt Institute, 2010 along with numerous shows in New York. Since 2005 McNutt has had numerous exhibits & performances in Tunisia, North Africa. Recent awards include: European Ceramic Center, The Netherlands, Kriti Gallery/Residency, India, Watershed Center for Ceramics, ME, M4gastatelier Residency, Amsterdam, William Hillman Foundation Grant, Rothman Opportunity Grant and a NYFA Fiscal Sponsorship. In 1994 a Fulbright Fellowship to West and Central Africa. For documentary work in West Africa, an Eastman Foundation Grant. Other awards are William Talbott Hillman Foundation, residencies at Fundacion Valparaiso, Spain, Foundation Ebert, France, Harwood Museum of Art, Taos, NM, Fine Arts Work Center, Provincetown, MA and VCCA. McNutt teaches at Pratt Institute & New York Studio School. At Yale School of Art she was recipient of the Helen Winternitz Award. 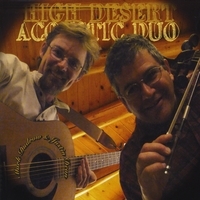 Acoustic, alternative folk and Celtic fusion styles blend in original songs and up-beat interpretations of traditional Celtic and Americana tunes. Magical music on the rim of the gorge (or anywhere! ).